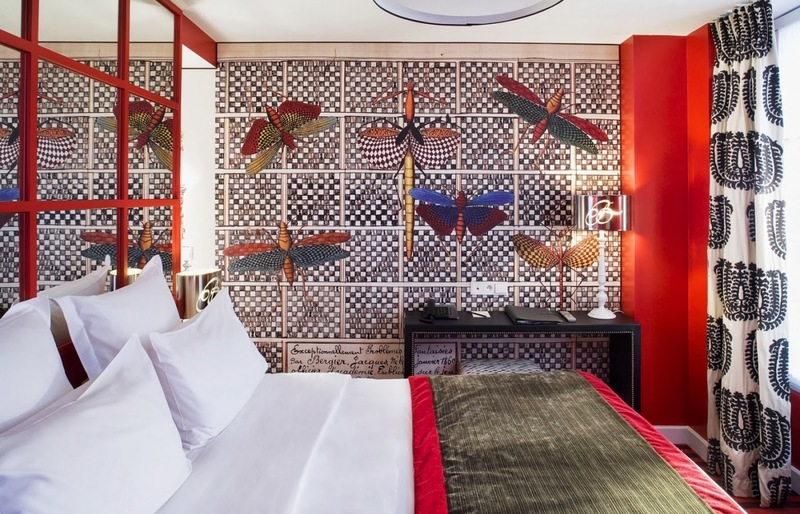 On a peaceful street on the left bank of the Seine River sits the Hôtel Le Bellechasse, a four star hotel designed by Christian Lacroix, a well-known French fashion designer. 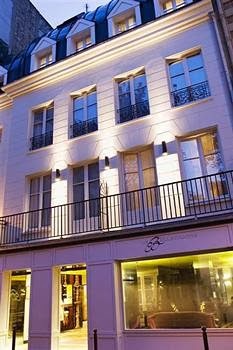 The hotel sits amidst famous monuments, various art galleries, fine restaurants, and is close in distance to Twileries Garden, the Louvre Museum, and the Invalides. Inside the Hôtel Le Bellechasse, attention is paid to every last detail, which can be found in the three different types of rooms they offer. In the Discovery Room, the décor is sumptuous with gold flocked wallpaper, and is decorated with plush carpets, and lavish drapes and fabrics. 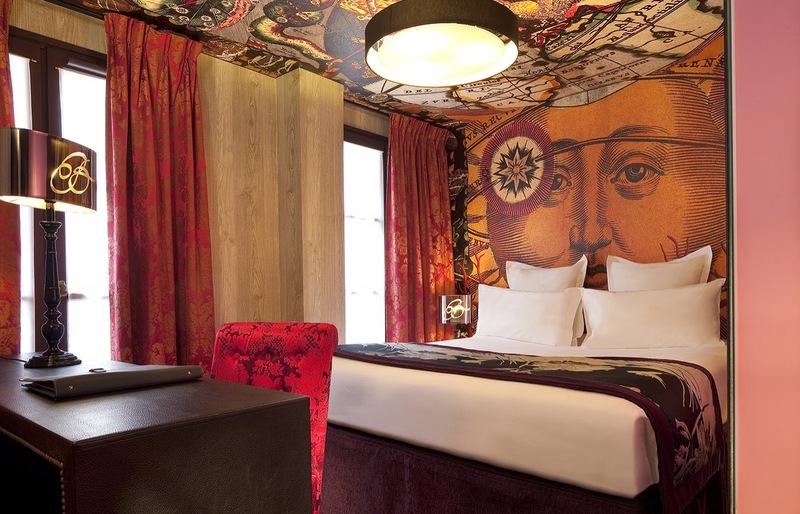 The Original Room offers a unique atmosphere with rich fabrics, decorated ceilings, murals covering entire walls, and décor that is high in color and character. 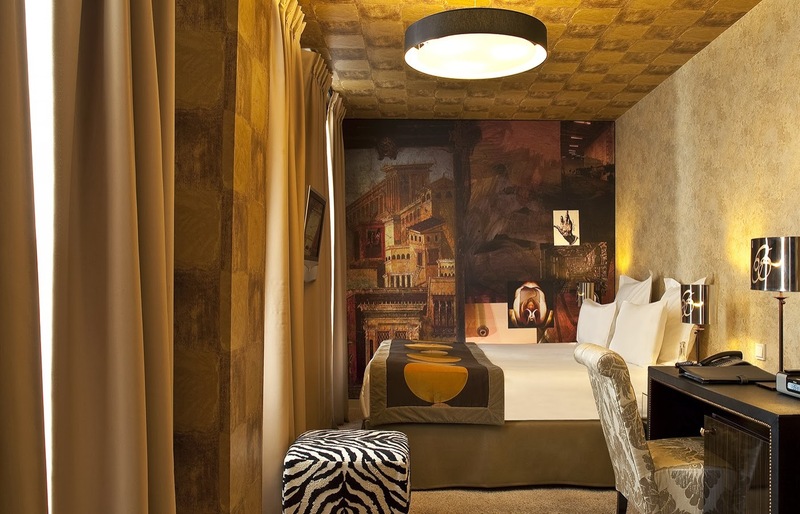 Lastly, the Privilege Room is one that is decorated in rich, gilded fabrics, large murals and decorated ceilings such as the Original Room, which creates a unique and refined ambiance. When you’re not spending time in the beautifully decorated rooms or exploring nearby attractions, the Hôtel Le Bellechasse offers four personal trainers to accompany you for a run along the Seine, or in taking part in yoga or a self-defense class. Enjoy a four hour bike tour, where you will discover the heart of Paris and find the secret spots only locals know. Secluded in an enclave of Golden Beach in Miami, is Sammy Sosa’s oceanfront beach house, which spans more than 7,000 sq. feet. Located on more than one-half acre, the house, which was built in 1988, sits between the Intracoastal Waterway and the Atlantic Ocean. The 2 story, oceanfront property has 7 bedrooms, and features 75 feet of direct ocean frontage, with an outdoor living area that features a koi pond and plenty of room for outdoor entertaining. The house has an open floor plan with a sleek design that emphasizes the ocean views. The kitchen includes double ovens, a wine rack, sub-zero refrigerators, and a cozy breakfast nook. Would you pay close to 8 million for this beachfront beauty? When you think of adding excitement and making updates to your home, several of the first things that come to mind are to bring in decorative furnishings, paint rooms, or acquire new furniture. All of these are great ideas, but an often overlooked idea to explore is to create architectural interest in a room with decorative moldings. Wainscoting is a decorative treatment of wood paneling that is applied to the lower portion of a wall. 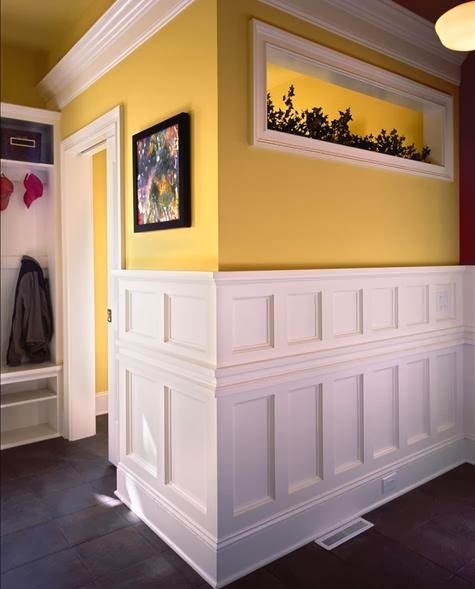 Not only does wainscoting save you from the cost and time of painting the lower half of your walls, but it also adds dimension to your room that could otherwise be missed. Coffered ceilings are another option when it comes to decorative molding. A coffered ceiling is a wide grid of sunken panels, most often square or rectangular, and popular in kitchens, living rooms and bedrooms. Other options when it comes to using decorative molding is board and batten, which brings detail to your area without being overly ornate, and crown molding, which is used to “finish” rooms, as it is applied where the ceiling meets the wall. What kind of decorative molding do you have in your home? When it comes to colors, yellow is one of the most versatile and is great for lifting your mood. With any color, it’s important to keep in mind which hues work best in specific rooms. Bright yellows should be kept out of bedrooms and offices, as they can disrupt sleep and concentration, while pale, buttery yellows work well in just about any room. A bold yellow creates a real punch. It fosters productivity and creative energy, and when paired with blue and white accents, it can create a striking contrast. On the opposite spectrum, crisp whites and a light yellow, which function as a neutral, brings a sense of calmness to the room. 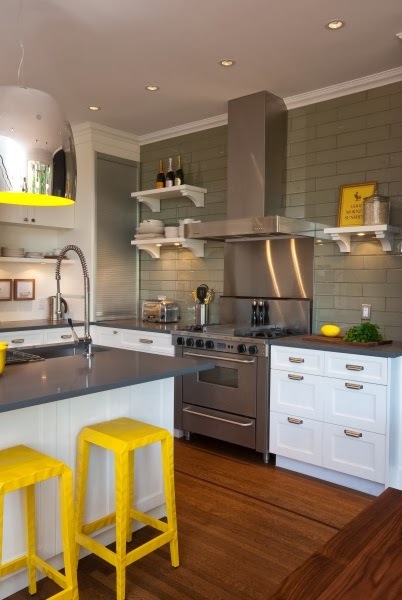 As an accent color, yellow pairs beautifully with darker colors. The yellow and cooler shades work harmoniously to make the room pop and add character. 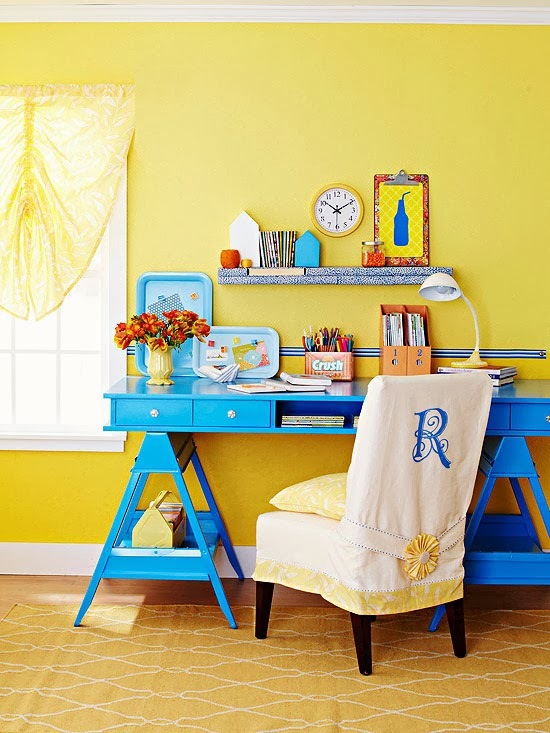 Would you choose to use yellow as an accent color or as the focal point of your room?